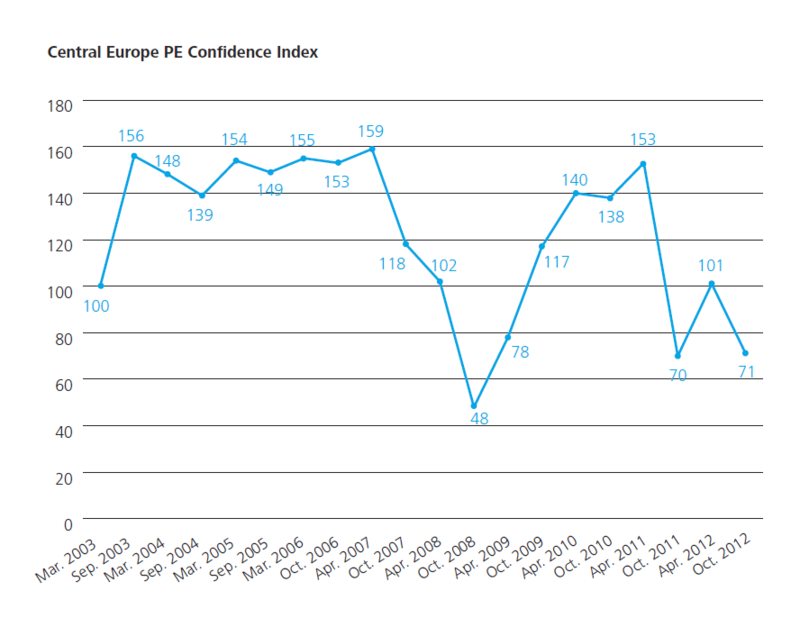 Deloitte published the latest edition of Central Europe Private Equity Confidence Survey, which has tracked the changing sentiments of Central Europe’s investment community every six months for close to 10 years. • 45% say they expect to concentrate on portfolio management rather than new investments or raising new funds. It is hard to identify the primary causes of this sudden loss of confidence, mainly thanks to the sheer number of potential contributory factors. These range on the one hand from continuing fears for the key export markets of the eurozone to, on the other, doubts about the prospects for recovery in countries like the Czech Republic and Hungary and the potential for slower growth in Slovakia, Romania and even the regional powerhouse that is Poland. Six months ago it appeared that some new confidence was emerging, with 23% of respondents anticipating improvement in the economic climate. Now the situation is changed, with nobody predicting better times ahead and 59% expecting a further decline, making this the third most negative response to this question since the survey’s launch in 2003. The position is not quite as pessimistic as 12 months ago, however, suggesting that attitudes are fluid in the face of a fast-evolving economic situation. Deloitte believe that some recovery in the eurozone will have to be underway before any sustainable optimism emerges as exporters finally start to see prospects for growth.